If you and your partner have made the very difficult decision to divorce, you may be considering your options for settling all of the important aspects of your separation. Dividing up your shared property and assets (and debts), developing a parenting plan if you share children, and determining whether child and/or spousal support is applicable are key issues to sort out during the divorce process. There are two possible paths to follow – litigation or mediation. Mediation has become a very popular and highly effective tool to settle many divorces around the country. 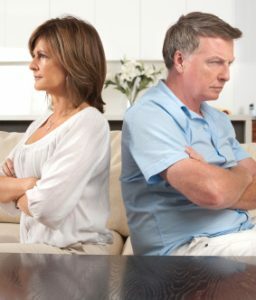 There are many benefits to using divorce mediation to settle the important issues in your divorce. First and foremost, divorce mediation costs less money and takes less time. You can expect a typical divorce that is settled by the traditional court system to cost between two to ten times higher than the mediation cost. It is important to note that emotional cost is typically reduced as well. 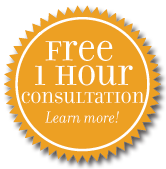 Divorce mediation generally takes between three and four 2-hour mediation sessions over the course of 2-3 months. Because of scheduling difficulties, a divorce settled in the courts can take many months, if not a year. Mediation is also entirely confidential and allows you and your soon to be ex-spouse to find unique solutions that work for your family. Mediation can be effective in most divorces, but it can only work if both parties are willing participants. Mediation is a voluntary process, so if one party does not want to participate, the process will not be productive. In addition, in certain cases, such as marriages where domestic violence is suspected or where one party may be hiding financial information, mediation may not yield a fair and balanced result. In these types of cases, working with a lawyer and in the court system may be your best bet. Johnson Mediation specializes in providing high quality and professional divorce mediation. Our team will focus on you, your family and your future and can help you navigate the divorce process and focus on solutions that will work. We will sit down with you and look closely at your unique situation to offer you the tools, expertise and resources so you can make fully informed decisions about your future. For more information about the divorce mediation process, call the Johnson Mediation team at 952-401-7599.